I watched this video of Andrew Tischler on Youtube about studio palette. I think this was brilliant and I keep thinking how can I make a similar one. While I don’t need that big since I have a really tight space. But I do like the glass surface and it can stand by itself. So I was thinking and thinking and suddenly I think about photo frame. It stands by itself. All I need is a gray background. At first I though a gray sheet would be enough but the little distance between the sheet and glass makes shadow. 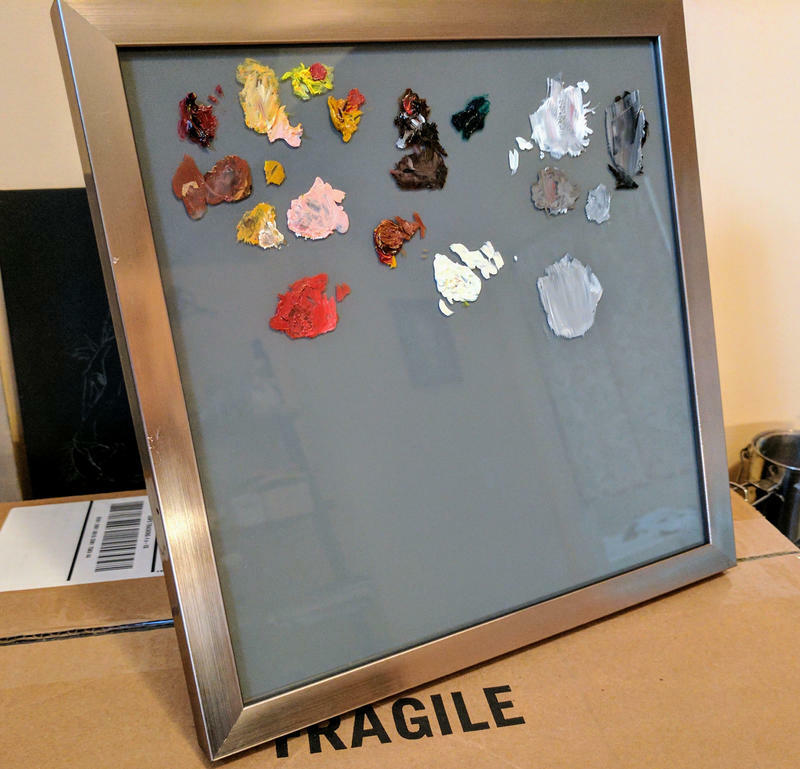 So I follow Andrew’s method, I spray the back of the glass with gray paint. And ta-da, it works!